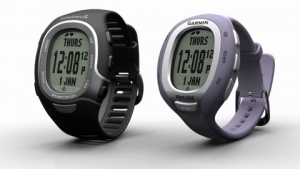 Garmin have announced a new Fitness Watch named the Garmin FR60. It comes bundled with a heart rate monitor and a GPS receiver giving you the perfect watch to track how you are doing and where you went. The Garmin FR60 gets you connected while running or at the gym. Features also include a calorie counter and information can be collected from a range of other linked pieces of equipment. The watch is wireless allowing it to communicate and share data without having to connect it up. The Garmin FR60 uses ANT+ compatible devices to send data to it. These devices include a foot pod that measures speed and distance and is a good idea for use where a GPS device cannot be used such as a gym.